I’m very pleased to have fellow author, Jennifer Eaton on my blog today! How are you doing today, Jennifer? I’m glad you stopped in. I’ve got a few questions for you so everyone can get to know you better! First of all, as I sit here in a dark dining room (so I can’t see my messy desk) I’m curious about what your writing area looks like. JENNIFER: Ha! Wanna see a picture? Go to this link. http://kellysaid.com/wp-content/uploads/2012/12/Jennifer-Eatons-Desk-1024×768.jpg It’s creative chaos, really. I DO know where everything is, but no one else would be able to find anything. CERI: Well, you’re one step ahead of me, because I generally don’t know where my stuff is because my kids keep putting more and more stuff on my desk. One day it’s going to disappear under a pile of stuff. So, what is your favorite genre to write? JENNIFER: I prefer Speculative fiction, which opens up a world of opportunities. I really love to blend fantasy with Science Fiction by using other planets as my “world” but leaving the setting and scope of the work with a more fantasy feel. Currently, my published works include a Dystopian and two Contemporary Romances. I have just completed a Paranormal (First in a Series) that I hope will be released on the world shortly. My current WIP is a Contemporary New Adult Sci-Fi Urban Fantasy. Yeah, like I said, I’m totally a blender. CERI: I love to blend too. And world building is so satisfying! So, what inspired your latest story? JENNIFER: My latest publications were both Contemporary Romances. To be honest, I had trouble with the idea at first, because most romance stories head in directions that I do not believe in personally. I really thought it over, and felt compelled to write Connect the Dots and A Test Of Faith. Part of me wanted to prove I could do it, and part of me maybe wanted to make a point, but I am very happy with the outcome. CERI: It’s always great to challenge yourself. I’m glad you were pleased with the outcome. What else do you like to do besides write? JENNIFER: Writing is my passion, but on down time I enjoy a game of Scrabble or reading. On weekends, I enjoy hiking. If I can get to the Caribbean, I love snorkeling. It’s like another world down there. CERI: As I sit here in buried in about a foot of snow I’m drooling over the thought of the Caribbean! What a dream vacation! Okay, now the quick question/answer portion! Spring, summer, autumn or winter? Summer. I love the heat. As long as there is no humidity, bring on that 100 degree weather! Favorite book: Vertical Run by Joseph Garber. I wasn’t crazy about the ending, but the rest was so dern good it made up for it. It was like riding a non-stop roller coaster ride of awesomeness. Favorite movie: Independence Day (ID4) I just LOVE explosions, and this one is Jam packed. (CERI:fantastic movie!) I also really like True Lies, which is an awesome mix of great story-telling, explosions, and comedy. If you weren’t a writer, what would you want to do? I’d like to be an archeologist. (CERI:that was one of the careers I wanted when I was in college) Marine Biology would be fun, too. 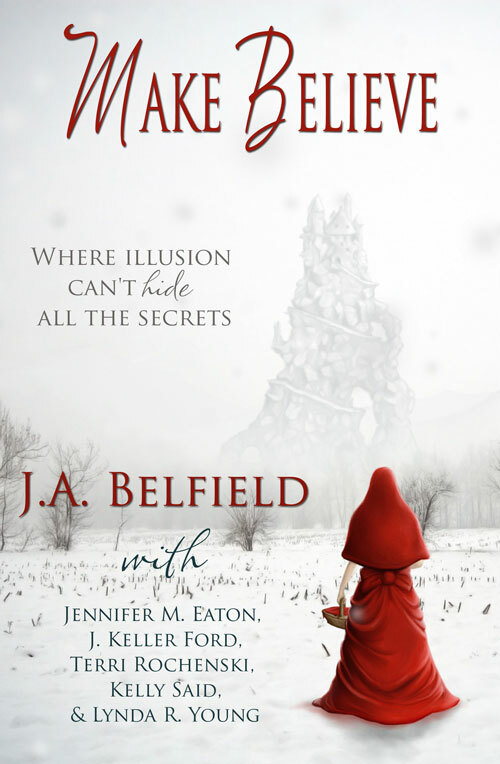 Her Dystopian novelette “Last Winter Red” is available as part of the “Make Believe” Anthology from J.Taylor Publishing. Her Christmas Romance “Connect the Dots” is available as part of Still Moments publishing’s “For the Love of Christmas” Anthology. Both are available in ebook format from Amazon.com and Barnesandnoble.com and Smashwords. 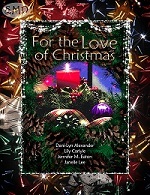 Random commenters during the tour will receive eBook copies of Either “For the Love of Christmas” or “Make Believe”! There’s a Rafflecopter too, for extra chances to win! Love the new digs, Ceri!